Intriguing objects don’t need to be so because they’re strange…they can also be highly beautiful, especially in the hands of Areaware and their impressive league of designers. Located in New York City, Areaware makes a whole bunch of fascinating products that are functional, enjoyable, poetic and most importantly, receive an emotional response. How often do everyday objects pull all that off? The classic Windows game gets a reboot… Designed in total 8 bit glory by Susan Kare (who also designed the original Solitaire game for Microsoft, by the way), these Solitaire Playing Cards will hit you with some early computer gaming nostalgia. Each deck has even been designed with pixelated corners – they may even play tricks with your mind as you gaze upon them on your high-definition, totally real tabletop! Designed by Susan Kare for Areaware, New York City. Quality playing cards reminiscent of the old Windows OS Solitaire game. Release of the deck coincides with the 25th anniversary of the game. 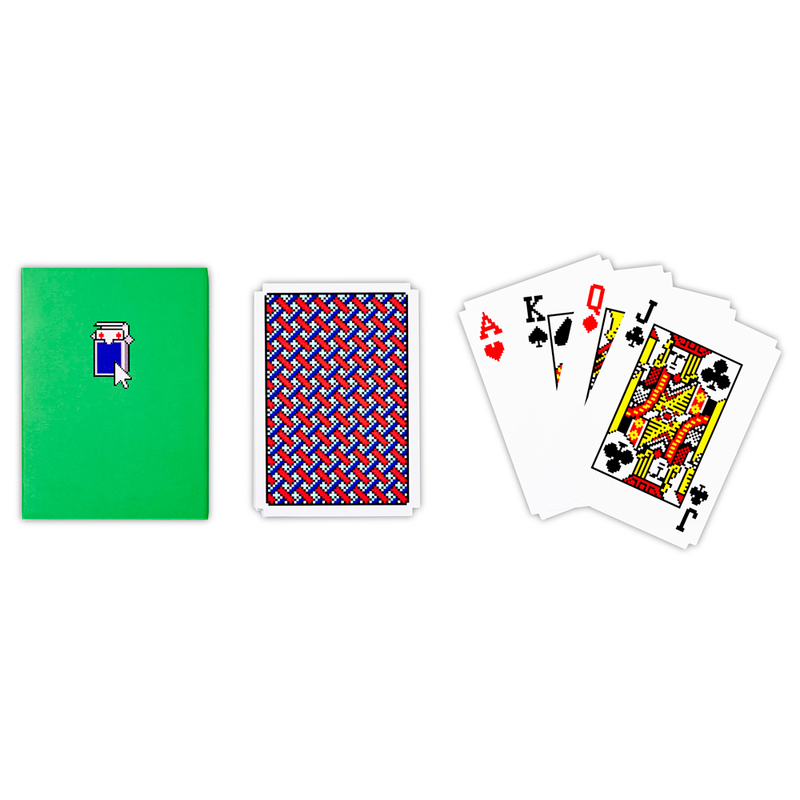 Each deck is presented in matching themed box. Card Dimensions: 6cm (w) x 9cm. (h).